Big things are happening behind the scenes at Netflix. Big bad things. The red streaming giant just announced that it has cancelled Daredevil, arguably its most well-received Marvel comic adaptation. That makes three Marvel series Netflix has cancelled this year after Iron Fist and Luke Cage. 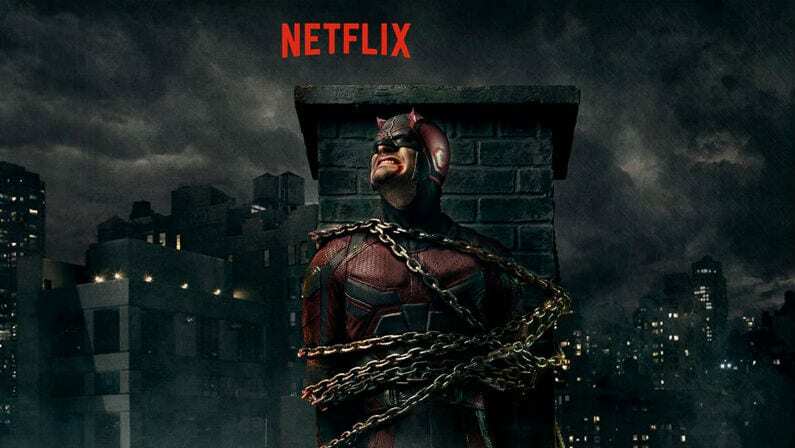 With Marvel parent company Disney planning to launch their highly-anticipated Disney+ streaming service next year, could this signal that Disney might be planning a Daredevil series of their own? Netflix adds that even though no new seasons of Daredevil will be produced, “the three existing seasons will remain on the service for years to come, while the Daredevil character will live on in future projects for Marvel.” Does that mean Disney may want to reboot the series? Netflix still has two Marvel properties for now – Jessica Jones and The Punisher – but there have been rumblings that creative issues, budget problems, and leadership changes have plagued the Marvel/Netflix relationship from the start five years ago. Will Marvel TV have better luck with Disney+? Given that several top-tier original projects are in the works at Disney+ including a Loki series starring Tom Hiddleston, it may be that there’s more to this Daredevil story than what has been released so far. Given that the entire planet will immediately sign up for a Disney+ subscription when it’s released, I’d be willing to bet we haven’t seen the last of Matt Murdock and the Kingpin.